This plant can make it happen! With some exceptions like Christmas, Easter and Valentine's Day, there can never be enough chocolate in life  period! Milk chocolate, dark chocolate, even exotic combinations with spices, can achieve magical results: all your worries seem to melt away and you can finally enter a zen-like state of existence. 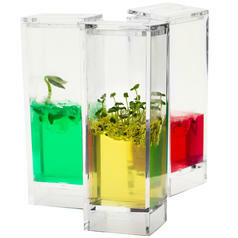 With the "Grow Your Own" Set, you can plant chocolate-scented flowers and take your nose on a choc-olfactory adventure! 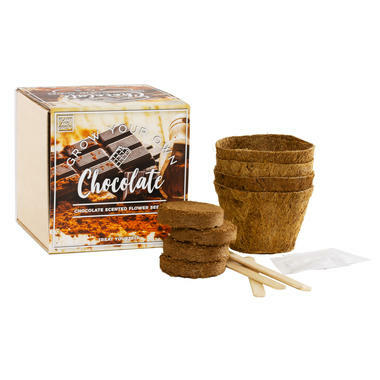 In this set, you'll find everything needed to plant a flower that actually smells like chocolate: two seed packets, four plant pots, four compost soil discs and four wooden markers  plus some detailed instructions, of course. As long as you follow them closely, your entire home will smell like chocolate in no time. Just don't forget to water your miraculous plant occasionally ;). 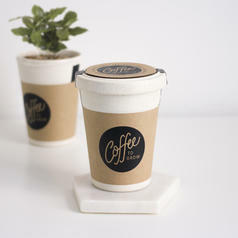 14,95 € lade... Coffee to Grow - Grow your own coffee Make your own coffee  quite literally! 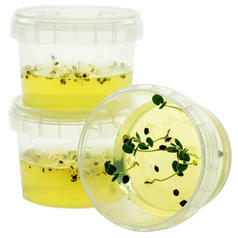 14,95 € lade... Plantarium Gardener Grow your own plants for every situation in your life. 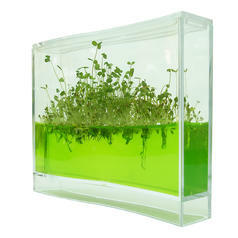 29,95 € lade... Plantarium Super The special gel of the Plantarium provides all the nutrients that are needed for a plant to survive.